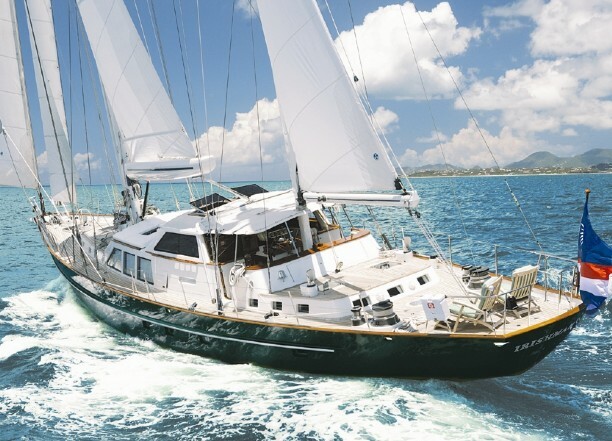 92'/28m Alden Designed Palmer Johnson "PEGASUS II"
Steve has inspected PEGASUS II numerous times. 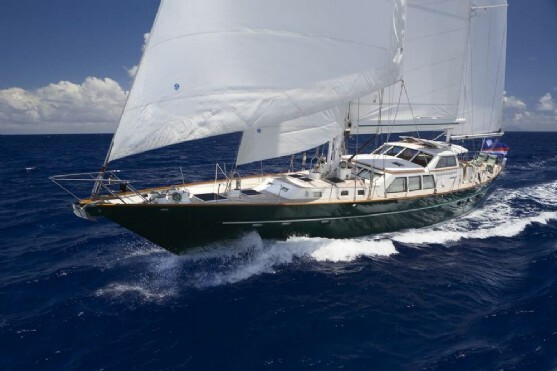 She is a 92�/28m Alden designed Palmer Johnson center cockpit cruising ketch built in 1985 and has proven her abilities sailing between the Med to the South Pacific. 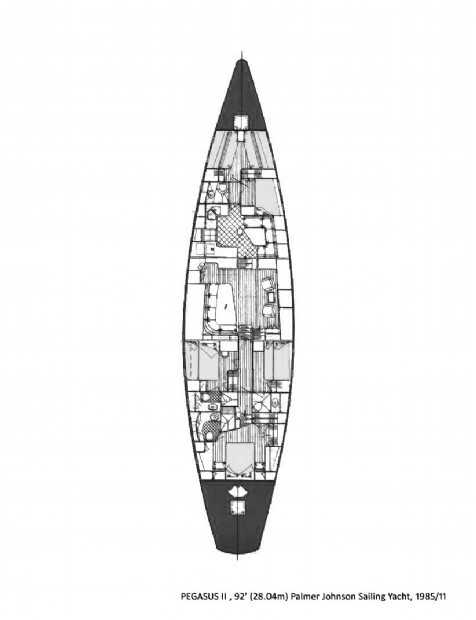 Her centerboard up draws 7.5� and down 17�, she can sail and gunk hole both. PEGASUS II is in very good overall shape. 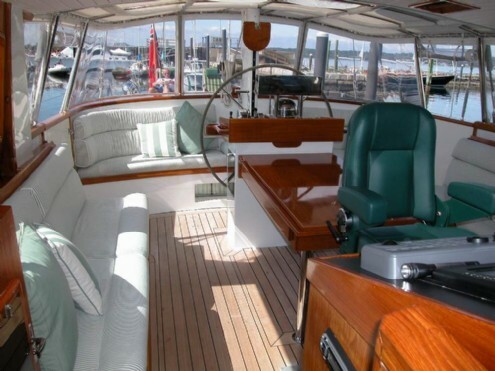 She was extended 8� (on the transom) by Hinckley Yachts. The lines of this yacht really turn me on. 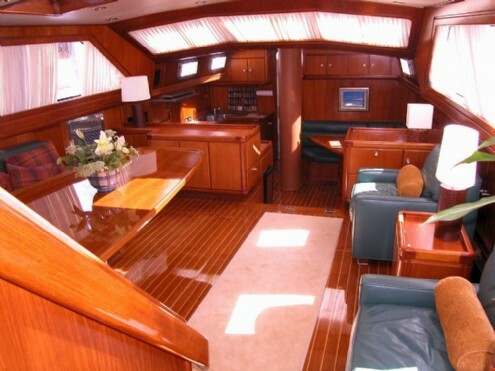 The interior is high quality teak paneling. 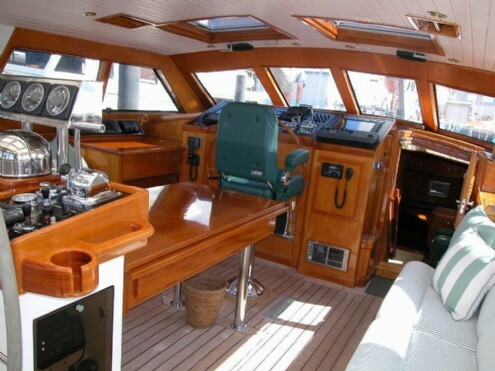 The queen Master has 9 opening ports and plenty of light. 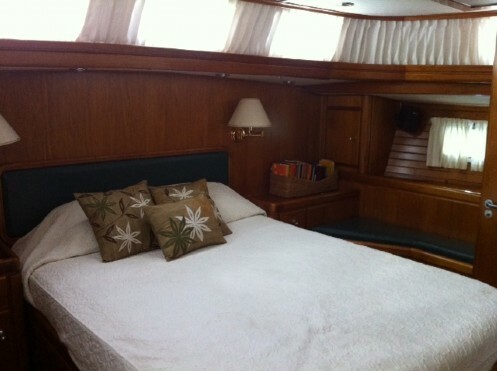 There are also a VIP queen and guest queen staterooms, both with additional single berths and heads. The salon with its 270 degree visibility is light, comfortable and classy. The galley is mostly new and is wide open to the salon. The crew quarters are generous for 3 or 4. The engine room is in excellent shape with much new and updated equipment. The teak decks will need some attention. The cockpit has two steering stations, good electronics and can seat guests for alfresco dining beautifully. PEGASUS II was donated and DO NOT let the asking price scare you away. She will be a great value for her buyer and the financing terms because of the donation are enviable! Give me a call and I guarantee you, you will be surprise, if not shocked at what you can buy PEGASUS II for. 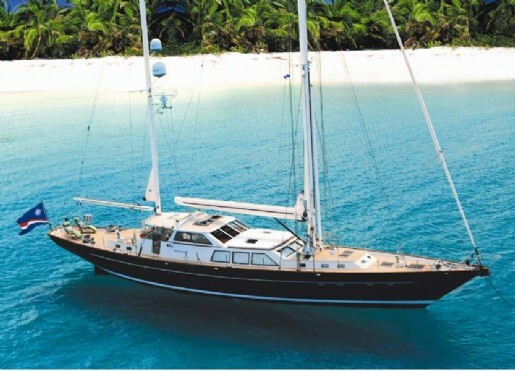 Please Contact Steve to discuss the full details on this solid world cruising sailing yacht.